Peter Joseph Gnalian once fancied winning a World Championship title in weightlifting. He was then young and the national champion in the 56kg category. KOCHI: Peter Joseph Gnalian once fancied winning a World Championship title in weightlifting. He was then young and the national champion in the 56kg category. However, his Olympic dreams got shattered when he got injured on his back and knee. A two-year ban for age-related controversy in connection with the selection to the World Junior Championship team also didn’t help his cause. Peter soon bid adieu to weightlifting and switched to bodybuilding, which gave him name and fame. Now at 57, Peter still maintains a chiselled figure, he could still give the youngsters a run for their money. 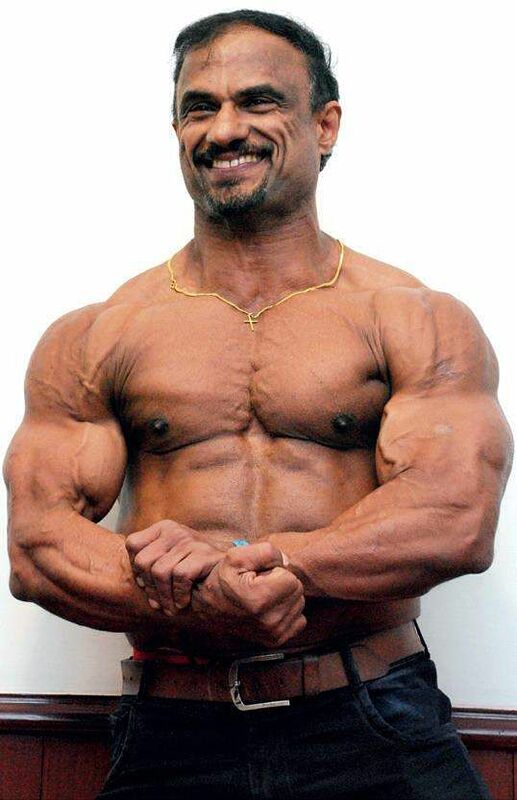 Numerous accolades came his way, with the recent one being the bronze he won at the World Masters Bodybuilding Championship at Athens last week.The Angamaly native took part in the open weight category and had to face stiff competition from men who weighed more than 80 kgs. “I was doing well in weightlifting and then I had to discontinue it. I always cherished the dream of becoming a world champion. So, when I started bodybuilding, I made up my mind to win a world championship title. I came close to a gold medal, but couldn’t win it. I am sad I missed it. Yet, I am happy,” Peter said during a reception accorded to him by the the State Bodybuilding Association. Apart from bodybuilding, Peter is also interested in promoting a healthy lifestyle and fitness culture among the public. When he felt his job in the Railways as a restraint, he took voluntary retirement. “People should know exercising regularly can keep them fit and healthy. According to some doctors, doing weightlifting and bodybuilding after the age of 40 is dangerous. They also feel muscles can’t be beefed up after 40 years. But, I’ve proved them wrong,” said Peter, who also runs a gymnasium in Angamaly. Peter announced his retirement from the sport as he felt it was high time he took extra care of his family. “My children have grown up and reached marriageable age,” he said.